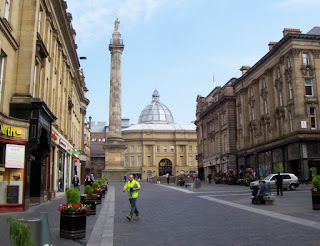 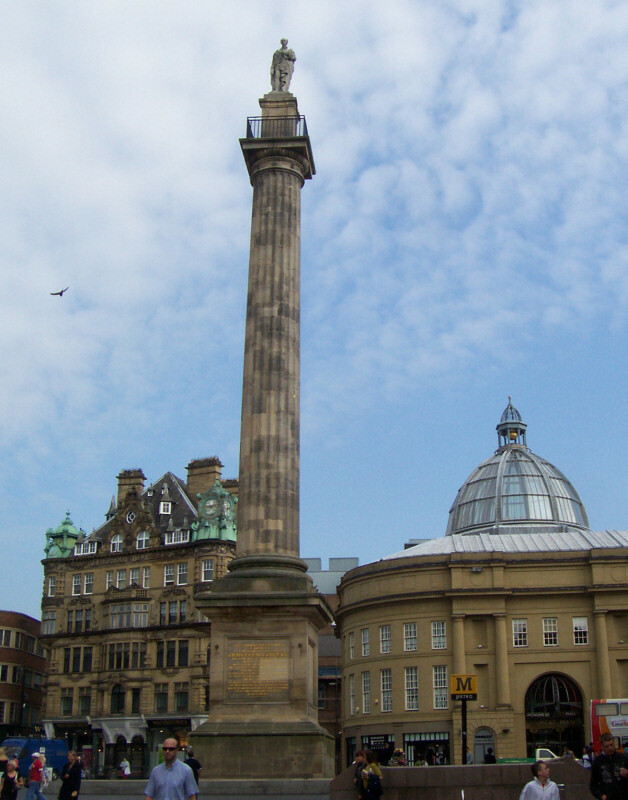 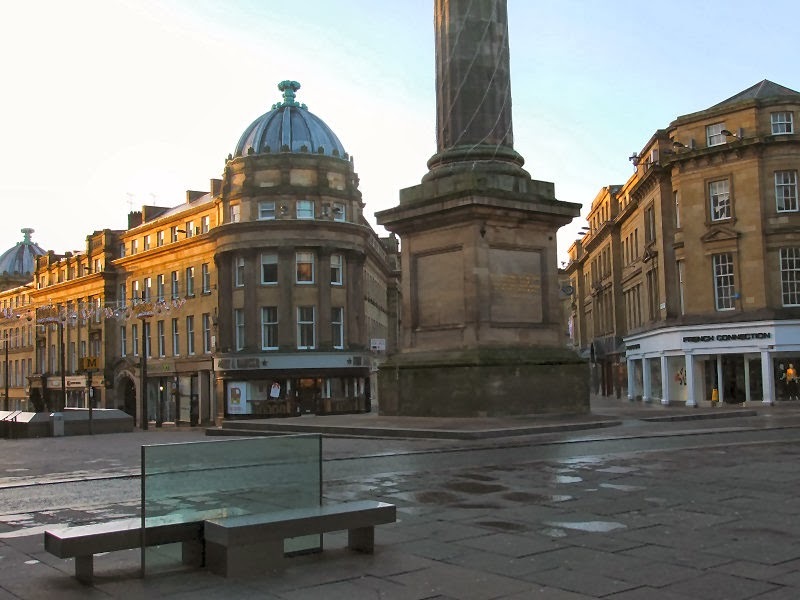 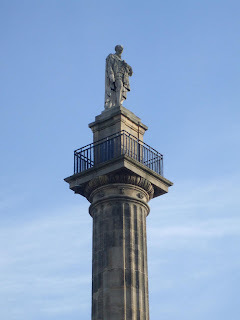 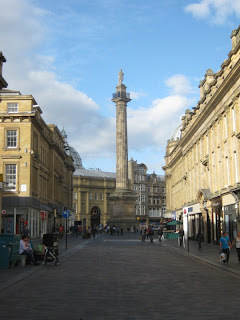 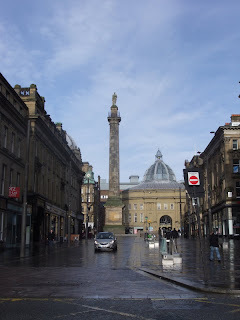 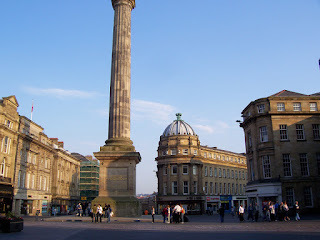 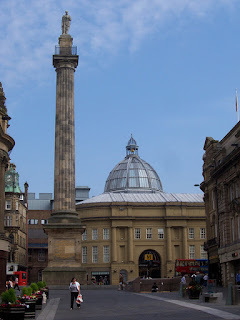 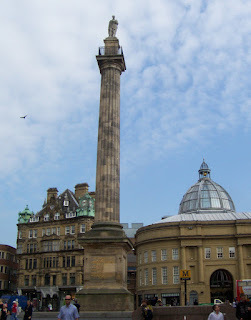 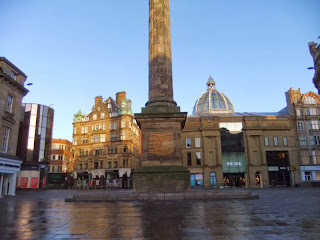 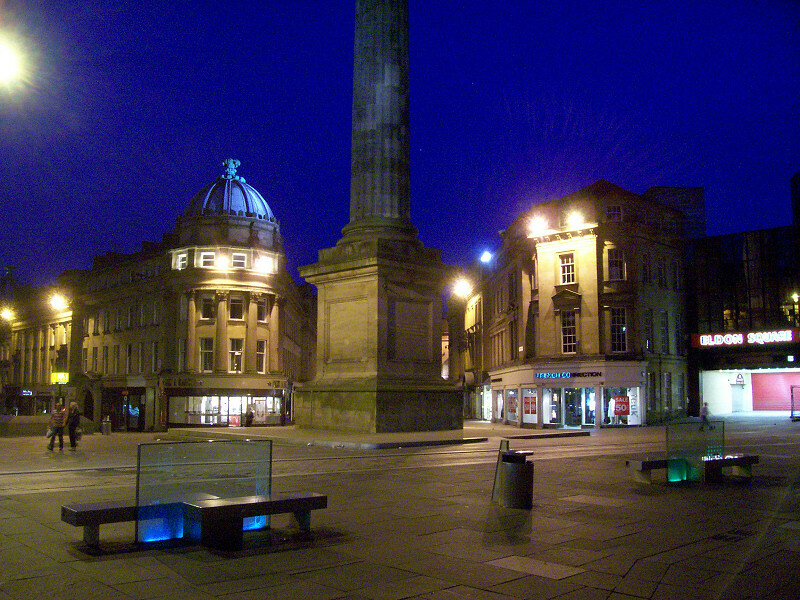 Grey's Monument is a monument to Charles Grey, 2nd Earl Grey built in 1838 in the centre of Newcastle upon Tyne, England. 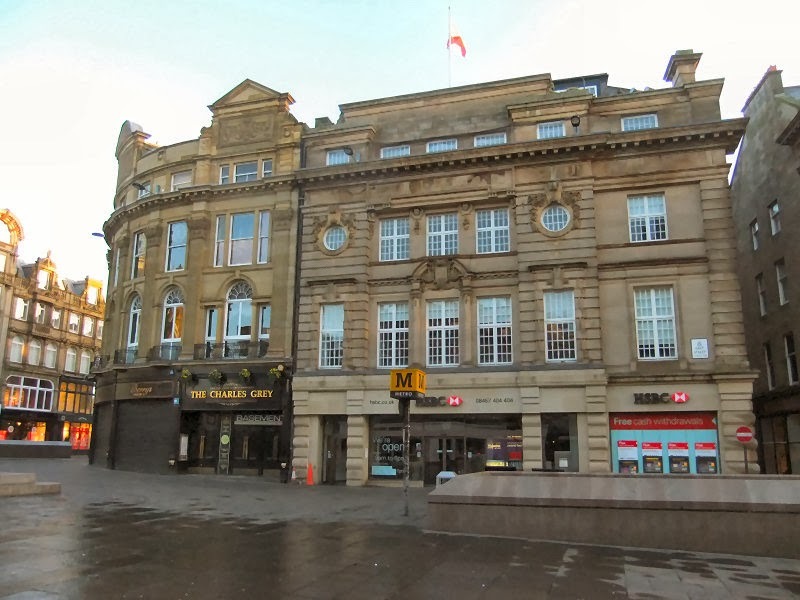 It was erected to acclaim Earl Grey for the passing of the Great Reform Act 1832 and stands at the head of Grey Street. 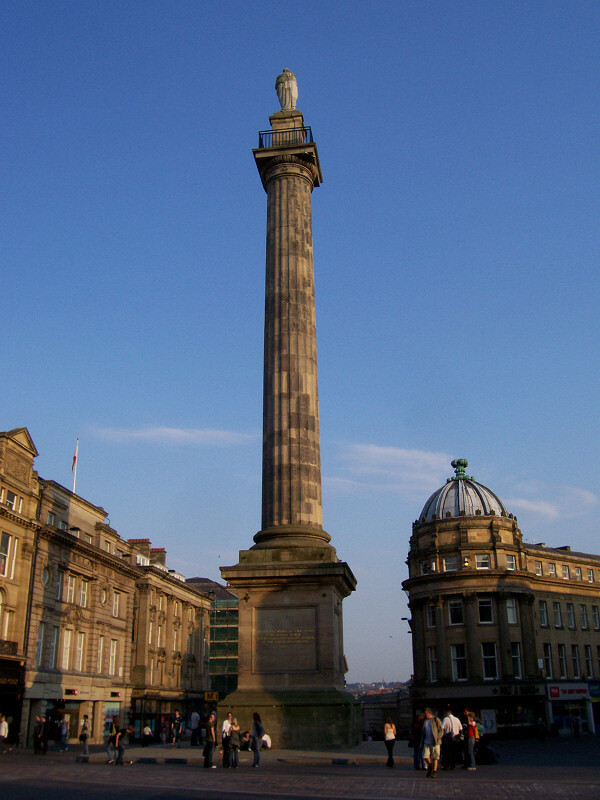 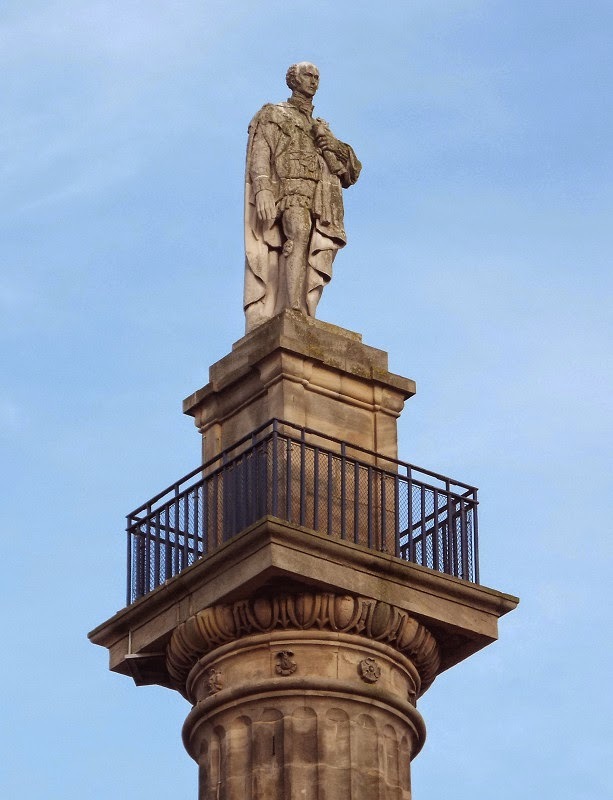 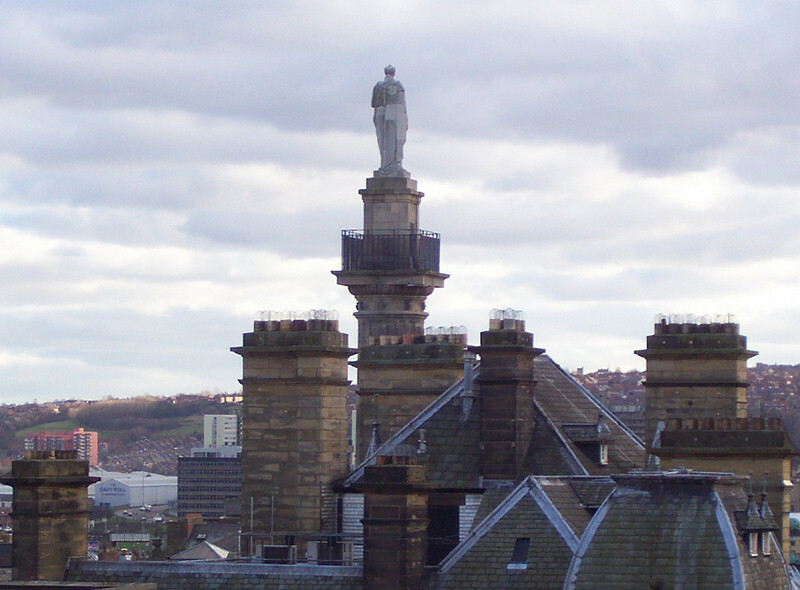 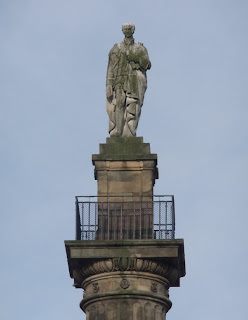 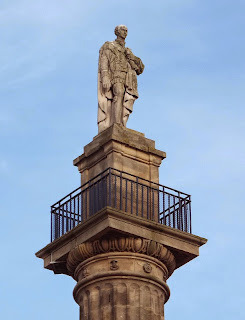 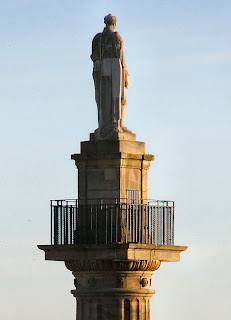 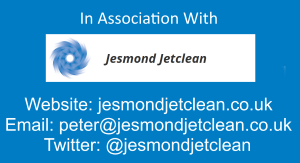 It consists of a statue of Lord Grey standing atop a 41 m high column. 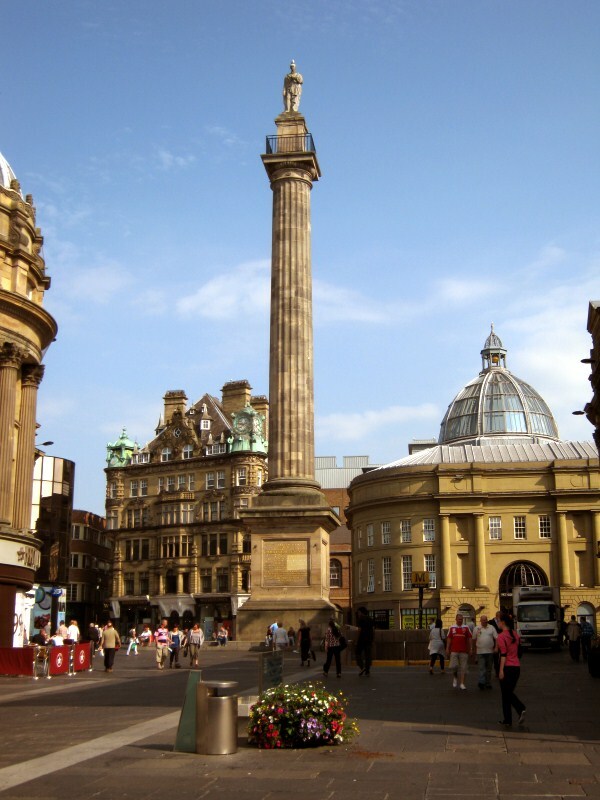 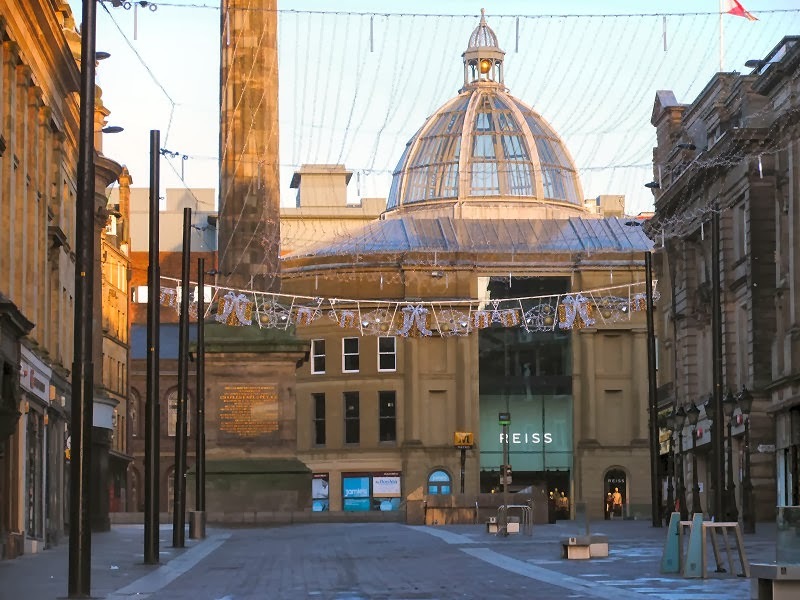 The monument lends its name to Monument Metro station, a station on the Tyne and Wear Metro located directly underneath, and to the Monument Mall Shopping Centre. 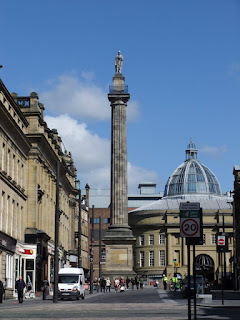 The wide base of the monument is a popular spot for people-watching, and often acts as a venue for buskers (most notably Apu with their andean music), religious speakers and political activists/protestors. 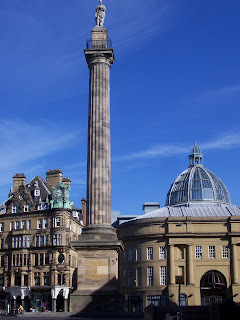 During the recent Lecturer's Strike on 7th March 2006, a congregation of lecturers who were protesting against poor pay and working conditions, spent the day on and around the Monument with placards. Earl Grey lost his head, the monument that is, in 1941 when it was struck by lightening. A new head was sculpted by Roger Hedley (son of artist Ralph Hedley) around 6 years later in 1947! Are you still able to climb the steps to the top of the monument? 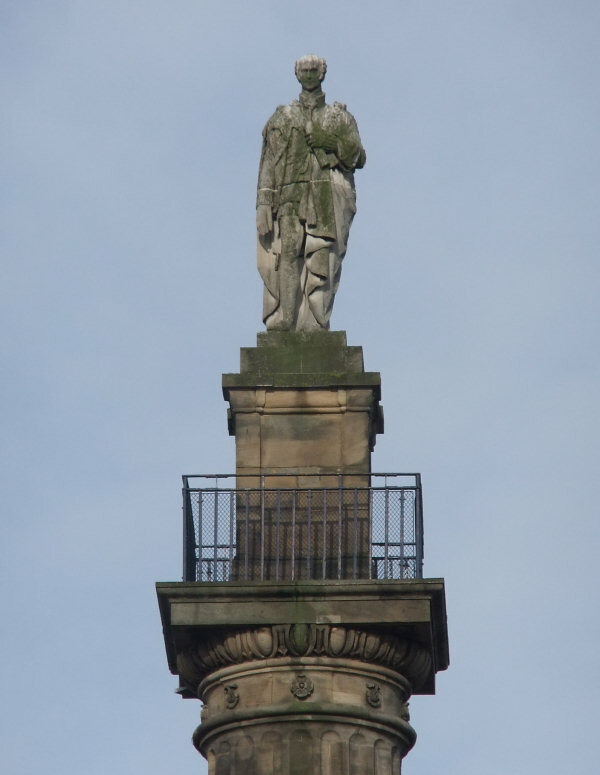 If so it would be great if you could get some pics from up there. 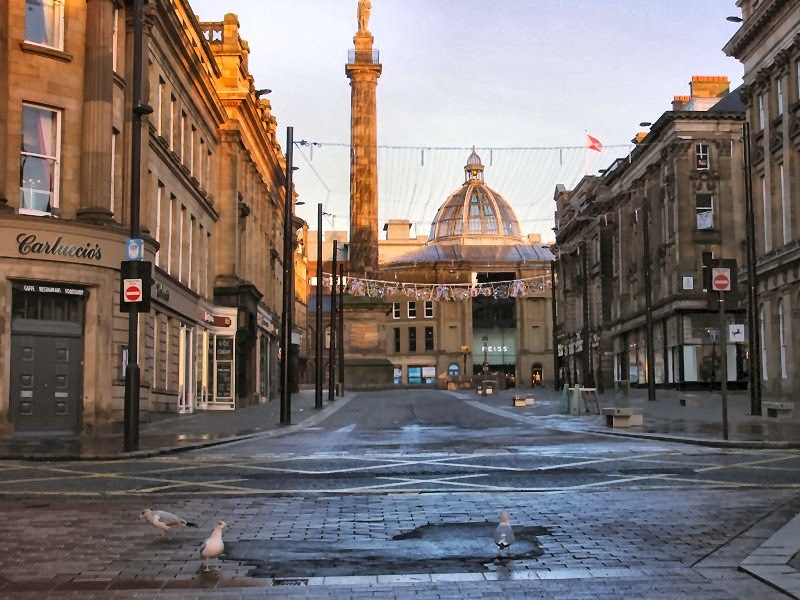 It's only open on certain occasions these days. I think the next time will be in September for the open heritage days.